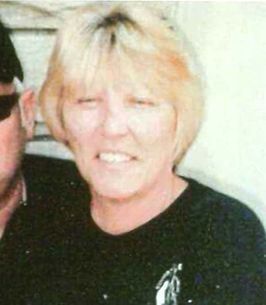 Mildred “Millie” L. Cropper, 65, of Milton passed away on September 12, 2018 at West Florida Hospital. She was born on June 24, 1953 in Dayton, OH to Fred and Alta Campbell. Mille graduated from Lanager Senior High School and was the manager of the J & J for 25 years. She was preceded in death by: her stepson, Rodney R. Cropper II; father, Fred Everett Campbell; sister-in-law, Joyce Ryan; and brother-in-law, Earl Singleton. Survivors include: husband, Rodney R. Cropper; sons, Christopher Cropper (Sabrina Mote) and John Daye (Karrie); mother, Alta Campbell; brother, Fred Campbell Jr. (Sherri); sisters, Larrie Campbell and Carolyn Turner; daughter-in-law, Stacey Cropper; nine grandkids; five great grandkids; brothers-in-law, Boyce Cropper, Jr. (Carol) and Victor Boyce Cropper (Maryanne); sister-in-law, Alice Singleton; and several nieces and nephews. Trahan Family Funeral Home of Milton, 6539 Trammel Drive, is in charge of arrangements. Visitation will be held from 12 noon until the memorial service begins at 1:00 p.m. on Saturday, September 22, 2018 at the funeral home. 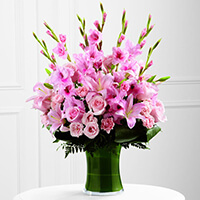 To send flowers to the family of Mildred Louise "Millie" Cropper, please visit our Heartfelt Sympathies Store. You will be missed and loved forever. Some of our best memories are with you, May you rest in peace and fly high with the angels. Love you..Darla and Elise.